Aleksandr Prokhorov was a Soviet physicist who earned the Nobel Prize for his pioneering work on laser-maser principle. Check out this biography to know about his childhood, life, achievements, works & timeline. Aleksandr Prokhorov was one of the frontrunners of Russian physics who earned a Nobel Prize in 1964 for developing the maser-laser principle. He shared the prize with Nikolay Basov and Charles Townes. Prokhorov studied at the Leningrad State University and later worked at the Lebedev Physical Institute. 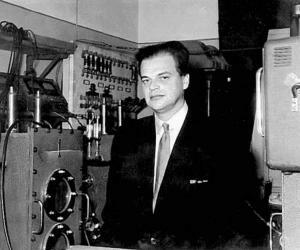 It was during the early 1950s that Prokhorov carried out his pioneering work on the maser-laser principle together with Nikolay Basov. He remained active in laser research and development for the rest of his life, working on solid-state lasers, fibre optics, and laser applications in medicine and environmental monitoring. Apart from his scientific research work, Prokhorov took up academic duties in various Soviet establishments. He served as a Professor of the Moscow State University. He was an acting director of the General Physics Institute of the Russian Academy of Sciences and later became an honorary director. 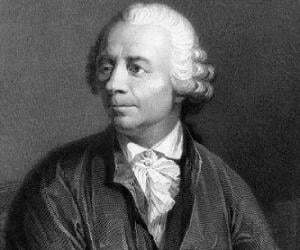 He was also a member and one of the Honorary Presidents of the International Academy of Science, Munich. Aleksandr Prokhorov was born on July 11, 1916 in Atherton, Queensland, Australia to revolutionary Russian parents who had emigrated from Russia and were serving a period of exile in Australia. Following the Great October Revolution, Prokhorov and his family shifted back to Russia where they originally belonged. In Russia, Prokhorov enrolled at the Leningrad State University to study physics. He graduated with honors from the same in 1939. Following his graduation, Aleksandr Prokhorov moved to Moscow where he started work in the oscillation laboratory at the Lebedev Physical Institute, under academician ND Papaleksi. At Lebedev Institute, Prokhorov studied the propagation of radio waves in ionosphere. During the early 1940s, with the onset of World War II, he enrolled himself in the Red Army. He fought in the infantry. Three medals and two major wounds later, he returned to the oscillation laboratory at the Lebedev Institute in 1944 to continue with his study and research. He investigated nonlinear oscillations under Professor SM Rytov. In 1946, he defended his PhD thesis on ‘Theory of Stabilization of Frequency of a Tube Oscillator in the Theory of a Small Parameter’. The following year, he started working on coherent radiation emitted by electrons orbiting in a cyclic particle accelerator called synchrotron. He demonstrated that the emission is mostly concentrated in the microwave spectral range. His study of the coherent radiation of electrons in the synchrotron in the region of centimetre waves formed the basis of his 1951 PhD thesis ‘Coherent Radiation of Electrons in Synchotron Accelerator’. Meanwhile, by 1950, Prokhorov was made assistant chief of the oscillation laboratory. Nikolay Basov was one of his students. As an assistant chief, he formed a group of students and started working on radiospectroscopy of molecular rotations and vibrations. He later concentrated his study on quantum electronics. The group based much of their theoretical and practical study on a special class of molecules which had three non-degenerated moments of inertia. The development of radar during wartime had made microwave equipment readily available. Much like his American and British counterparts who had started using the microwave equipment to study how atoms and molecules responded to microwave frequencies, Prokhorov too studied the same. Along with Basov, he began experimenting with beams of molecules which were all moving at a uniform velocity. Prokhorov and Basov also found that when molecular beam passed through a suitable microwave resonator, the emission built up on its own, or oscillated, generating microwaves that were aligned in phase and at the same wavelength. Analysing the process in detail, they published their findings in 1954. The research work carried out by Prokhorov and Basov in the field of microwave spectroscopy resulted in the idea of a molecular oscillator. They developed theoretical grounds for creation of a molecular oscillator and also constructed a molecular oscillator operating on ammonia. In 1955, the duo came up with a method for the production of a negative absorption which was called the pumping method. 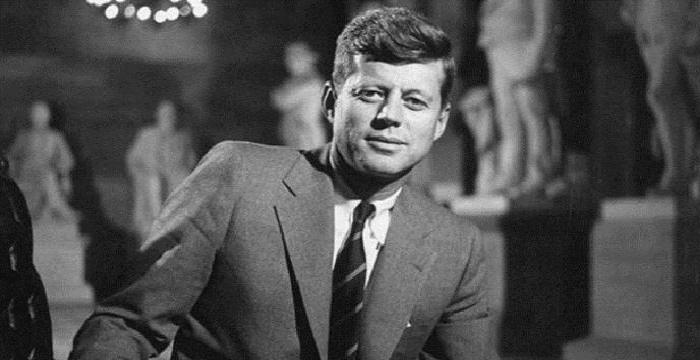 In 1958, he suggested a laser for generation of far-infrared waves. As a resonator it was proposed to use a new type of cavity which was eventually named ‘the cavity of an open type’. Similar cavities are widely used in lasers. In 1959, he was appointed as the professor at the Moscow State University, the most prestigious university in Soviet Union. In 1968, he took up the position of Vice Director at the Lebedev Institute and later in 1971, the position of Head of the Laboratory at the Moscow Institute of Physics and Technology. 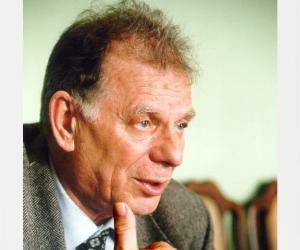 From 1982 to 1998, he served as the Acting Director of the General Physics Institute of the Russian Academy of Sciences. From 1988, he was promoted as an Honorary Director. During his lifetime Prokhorov was a member and one of the Honorary Presidents of the International Academy of Science, Munich. In 1993, he supported the foundation and development of the Russian Section of International Academy of Science, Moscow. The heart of Prokhorov’s research work came during the early 1950s when he along with his collaborators investigated molecular structures by the methods of microwave spectroscopy. Together with Basov, he began experimenting with beam of molecules that were moving at a uniform velocity with an aim to improve the resolution of their microwave measurements. The duo found out that they could isolate molecules that were in an excited state in a separate beam, leading to a breakthrough. They also discovered that if the molecular beam passed through a suitable microwave resonator, the emission would build up on its own, or oscillate, ultimately generating microwaves aligned in phase and at the same wavelength. Their pioneering work on lasers and maser eventually earned them a Nobel Prize in Physics in 1964. In 1959, Prokhorov was awarded the Lenin Prize. In 1960, he was appointed as a member of the Russian Academy of Sciences. Six years later in 1966, he was elected as an academician. In 1964, Prokhorov was awarded Nobel Prize in Physics, which He shared with Nikolay Basov and Charles Townes. The trio received the award for their fundamental work in the field of quantum electronics which led to the construction of oscillators and amplifiers based on maser-laser principle. 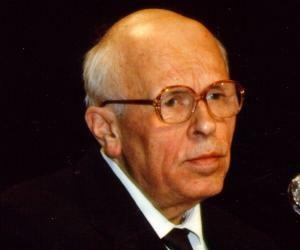 He became a Hero of Socialist Labour, the highest degree of distinction in the Soviet Union for achievements in national economy and culture, twice in 1969 and 1986. In 1971, he was elected a member of the American Academy of Arts and Sciences. In 2000, he received the Frederic Ives Medal, the highest distinction of the Optical Society of America (OSA). Following year, he became an honorary OSA member. Simultaneously, he also received the Demidov Prize. In 1941, Prokhorov married geographer Galina Shelepina. The couple as blessed with a son, Kiril, in 1945. Kiril followed the footstapes of his father and has become a physicist in the field of optics. Currently, he leads a laser-related laboratory at the A. M. Prokhorov General Physics Institute. Prokhorov breathed his last on January 8, 2002 in Moscow, Russia. The Russian Academy of Sciences, where Prokhorov served as an honorary director, was reamed A. M. Prokhorov General Physics Institute of the Russian Academy of Sciences, following his death.